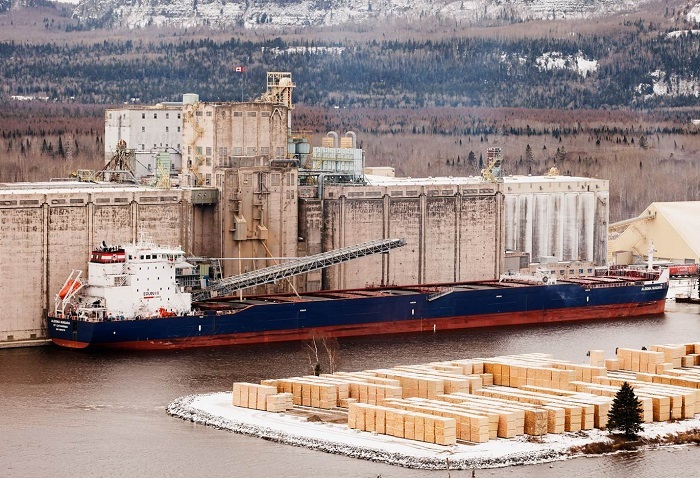 Algoma Central Corporation is committed to providing marine transportation services, a vital element in the economic health of the markets we serve, in a manner in which we have the lowest possible environmental impact. As the largest marine carrier on the Great Lakes – St. Lawrence Waterway, the Company is committed to creating sustainable and environmentally responsible marine transportation. Our highly efficient Equinox Class ships are all equipped with certified and effective exhaust gas scrubbers designed to meet stringent ECA Sulphur Oxide (SOx) emission limits. The scrubbers clean the exhaust gas, removing SOx emissions and reducing particulate matter discharges. Both the domestic dry-bulk and product tanker fleets participate in the Green Marine program. This initiative’s objective is to improve the marine industry’s environmental performance above and beyond regulation in a number of areas, including aquatic invasive species, pollutant air emissions (SOx, NOx and PM), greenhouse gases, waste management and, in 2018, underwater noise.